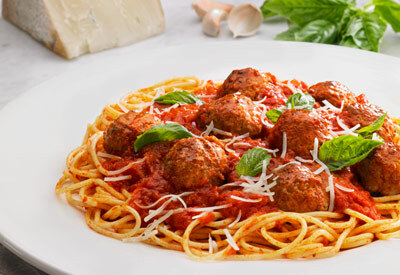 Want a great spaghetti and meatballs dish without the fuss? Update this pasta classic with Johnsonville! Johnsonville Meatballs are bigger than traditional ready-made meatballs, so you get more yum with each bite! In a large saucepan, combine meatballs and pasta sauce; bring to a boil. Reduce heat; cover and simmer for 20 to 25 minutes or until meatballs are heated through. Cook spaghetti according to package directions; drain. Serve meatballs and sauce with hot cooked spaghetti. Sprinkle with Parmesan cheese and other desired toppings. Save $2.00 on ONE Swiffer Starter Kit (excludes 1 ct 2 ct Heavy Duty Duster, Sweep Vac, Steam Boost and trial/travel size).